New emojis headed soon to a phone near you include wheelchairs, guide dogs, hearing aids and a drop of blood reportedly meant to symbolize a woman’s period. 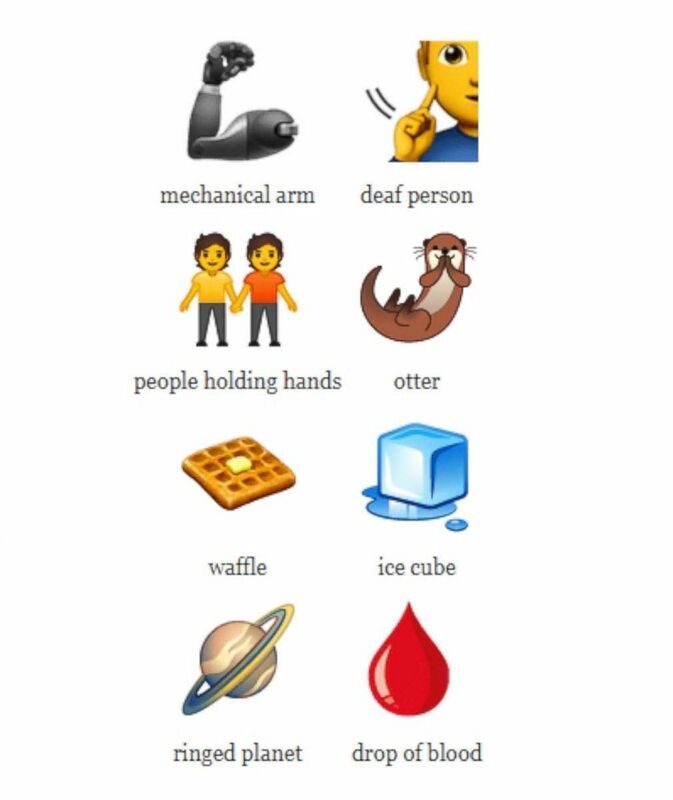 This year’s list expands the people represented by emojis to include people with disabilities and people of different ethnicities. 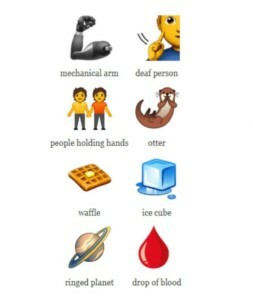 There are 59 brand new emojis (including a mechanical arm and an ice cube) and 171 new variants for gender and skin tone, according to the Unicode Consortium. The people holding hands emojis now have four combinations of gender and all the various combinations of skin tones, Unicode noted. One of the most buzzed-about new emojis is a single drop of blood. Plan International UK, a charity that advocates for girls, said it submitted the proposal for the blood drop emoji after its first entry for a period emoji design, period pants, was not accepted. The charity is using the emoji with the hashtag #periodemoji to end the stigma around periods. It is through your support that we can now celebrate that the @unicode have announced that we will get our first ever #PeriodEmoji in March 2019 ???? Foodies will notice the 2019 emoji update includes a waffle, an onion and garlic, butter, falafel and a juice box. For clothes, a one-piece swimsuit, ballet shoes, a sari and a safety vest are all new too. Animal lovers can now send text messages that include a sloth, an otter, a flamingo, a skunk and an orangutan. Unicode said to expect the new emojis in September and October, when they “typically” show up in software updates.